Even the most seemingly ordinary holiday cottage Cotswolds has to offer is magical in itself. The façade of these holiday cottages harks back to a time when country living was at its finest – laidback, easy and slow – while their interiors provide for the convenience of modern comforts set amidst a cosy ambience. Whenever you plan to visit the Cotswolds for extended periods, we suggest booking one of these holiday cottages and enjoy life as it is meant to be in the English countryside. The Hartwell Farm Cottages consist of two for-rent cottages, namely, Lilac and Lavender Cottages. These are located a short distance away (200 yards) from the owner’s home so whenever guests need anything in relation to their stay, be it for directions or company, the owner can easily attend to their needs. The best holiday cottage Cotswolds has to offer its visitors must provide for excellent views of the beautiful English countryside and the Hartwell Farm Cottages are up to the task. Beyond the cottages are the open countryside dotted by footpaths, valleys and hills as well as grazing animals. Of course, the Hartwell Farm Cottages are equipped with modern amenities that make your stay comfortable including comfy beds, appliances and fixtures. The garden is enviable, too, with plenty of birds to entertain visitors. Located in the quaint village of Bruern, the 12 Bruern Cottages were formerly the outbuildings of the Bruern Abbey. These cottages are sure to delight visitors with their well-equipped, elegantly-appointed rooms that resemble Victorian country houses than humble peasant cottages. Each cottage features a private terrace equipped with hardwood garden furniture and other barbecue amenities. Unlike most other holiday cottage Cotswolds has to offer, the Bruern Cottages provide landscaped grounds for its guests. There are courts for tennis and croquet as well as a swimming pool and the children’s play area. Other activities are hiking, fly-fishing and horseback riding. For those looking for 5-star accommodations, the Broad Oak Cottages are the best bets. Each cottage comes with fully-furnished rooms from the cosy bedrooms and elegant living rooms to the modern kitchens and bathrooms with full-pressure showers. Patios with barbecue equipment are also available for each cottage. The cottages are also named according to their distinctive characters. Thus, the Lilac Cottage has lovely rooms with buttermilk and beech wood kitchen, stone walls and flagstone floors. Other cottages are the Enoch’s Cottage and the May Cottage. No matter which holiday cottage Cotswolds offers, you are assured that it has the mark of warm hospitality as only the English knows. After all, the English knows how to live the country life at its best. 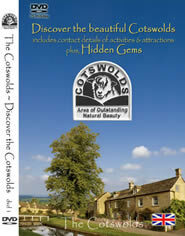 If you have any questions visiting Cotswolds and would like to ask Dianne, the owner of this site, you can contact her. I want to share this information with you. As we all know there are millions of Websites on the net and Site Build It or SBI rank in the top 0.5% of all the sites on the net. You may be struggling with your online business - you can build an online business yourself or have it built for you at Site Build It. Research it for yourself by clicking on: http://quicktour.sitesell.com and http://results.sitesell.com It could change your life. Best Hotel Deals Worldwide-Amazing discounts here. Find your favourite COTSWOLDS HOTEL. 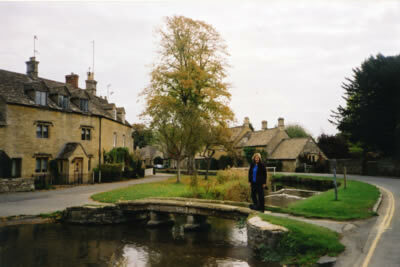 Book Tours and activities to the COTSWOLDS and England here. There are also tours to hundreds of destinations around the world. Good value for money.